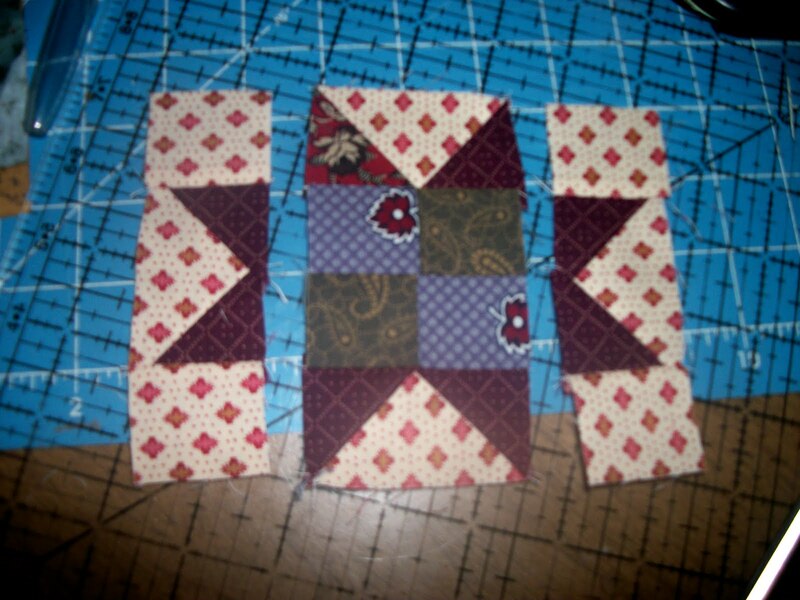 Sorry about the wait for the last step, blogger wouldn't let me post :( Anyways take 2 of your flying geese units and sew to either end of your 4 patch. 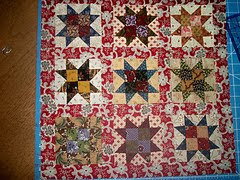 To your other flying geese units sew your 1 1/2 inch background squares. Sew these to either side of your unit. Now your block is all put together. 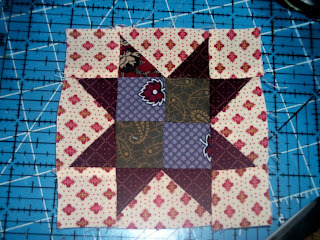 Just trim to 4 1/2 inches :) Nice simple block. I will give ya'll time to put together 12 of these. I should be back tonight or tomorrow morning with step 4. You will need about 1/2 yard of fabric for step 4. 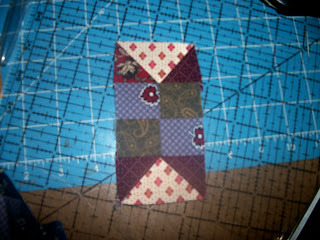 Remember to see all of the post in this quilt along to click on the tag Mini Quilt along.